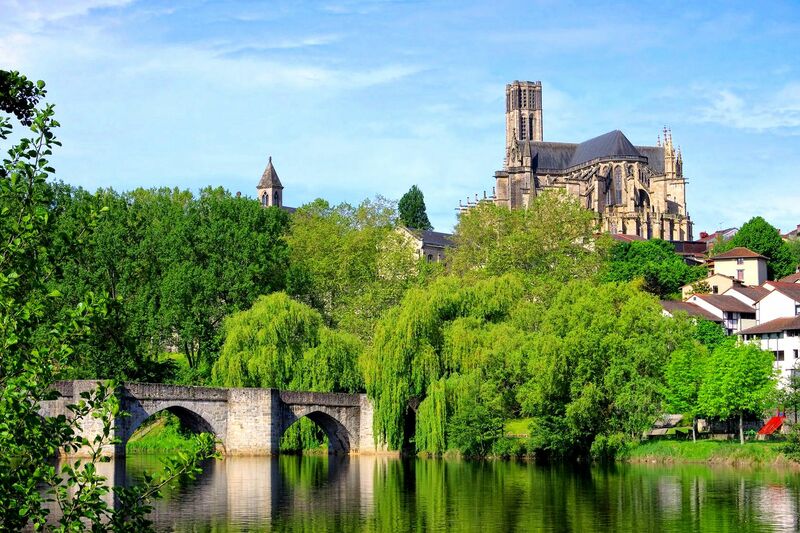 Although Limousin may currently be the second least populated region in France, it is on this land with lush nature that the traces of Neanderthal man were found. It isn't surprising that the "missing link between man and monkey" chose to take root in the middle of these green and hilly landscapes. The environment here is a generous one. From the beginning of humanity right up to the present day, the humans who have called Limousin home have benefited from its bountiful offerings. It is enough to sit down for a meal with some of the inhabitants to understand the richness and diversity that are found here. With the highest quality products, such as Limousin cattle, milk-fed veal and sweet chestnuts, it is abundantly clear that ancient traditions are still respected in the production processes here. Man-made constructions on this land have resulted in some remarkable historical heritage that includes the road of Richard the Lionheart and its 19 masterpieces as well as the art of porcelain. Between discovering the heritage and tasting the local products you will above all notice that you are surrounded by nature no matter where you go. Whether you explore it by bicycle, via hiking trails or practising outdoor sports activities, Limousin is the place to go for a breath of fresh air.